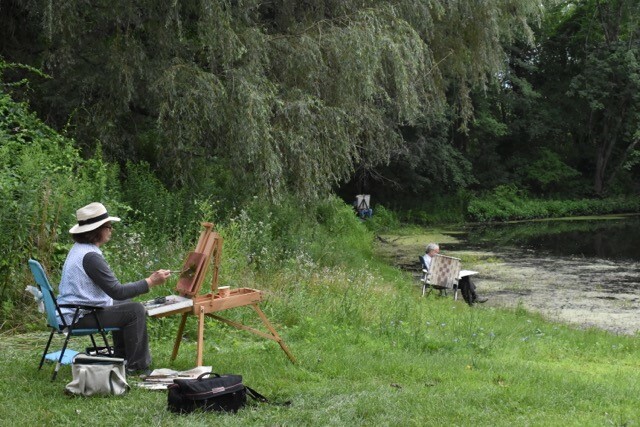 Join FrOGS Volunteer, teacher and accomplished artist Sharon Nakazato for a plein air day at Ray Lake. We are excited to invite people to this wonderful private property, but please RSVP to Sharon as noted below to be placed on the guest list and receive full instructions about location. Ray Lake sits on a beautiful piece of private property in the North Flow Watershed and we are grateful for the the owners to invite us back for another Plein Air Day! Please bring your own art supplies, easel, chair, etc. Artists of all mediums and abilities are invited (including photographers) for a morning of inspiration and art in the Great Swamp Watershed. Questions and registration please contact Sharon: sharon_nakazato@comcast.net or (845) 612-1046.